An Interview with a difference! I had the pleasure today to be apart of a select group of film enthusiasts who were interviewed on the passion we all share for the medium of cinema. 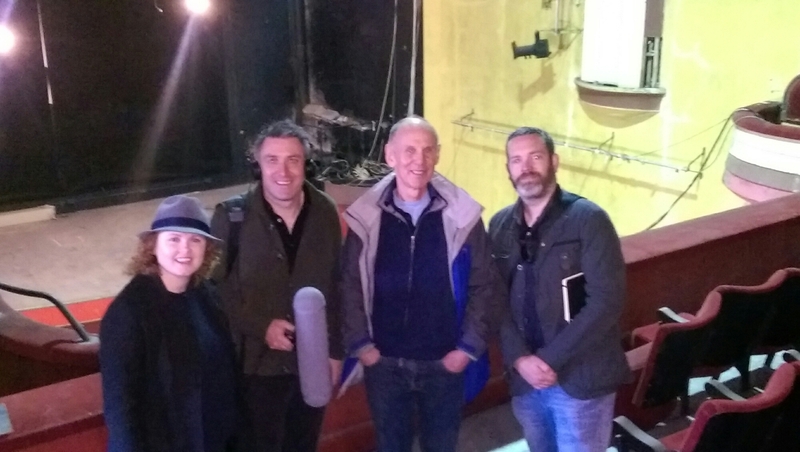 Diarmuid McIntyre and Mairead O’Connor of Grey Heroin Media invited us to a special recording at a special venue, The Royal Theatre on Cecil Street, where we discussed the future plans of the Royal as well as the increasing film industry in Limerick. “Grey Heron Media has begun production planning for two new series which are part of a unique joint commission by Limerick’s Live 95FM & RTE Lyric FM as part of the celebrations for Limerick’s year as Irish National City of Culture. Grey Heron was commissioned jointly by both broadcasters to create two special series that would each explore the character and culture of Limerick in 2014, but in two very different ways. I’ll update on the Broadcast date in due course.